So you want to buy an RV, but just don’t know where to start! Buying an RV is not as simple as it seems. From learning the terms for your RV to learning how to drive and tow it, there is a lot you need to consider. While the presence of Australia’s best caravan dealers in Sydney, may lead you to believe that shopping for your RV will be quick and easy, but it isn’t so. The guide offers tips and ideas to help you understand what to look for when buying an RV. Ready to take the plunge? Here are some key questions to ask yourself, to make sure that you buy an RV that is not only affordable but also meets all your needs. Why do you want to buy an RV? What is your budget including upfront costs, customizations? What type of camping do you want to do? Find the layout which works best for your family? Do you want storage and slide-outs? Do you prefer a motorhome or a towable RV? What are the features do you need? For most of us, the thought of traveling in an RV is an exciting adventure. Latest technology and innovation now allow manufacturers to provide a plethora of features in an RV. Therefore, we need to understand just exactly what we want before we buy an RV. This also includes separating the things you need in your RV into ‘must-haves’ and ‘good-to-haves’. RVs come in a multitude of designs and class types, ranging from the versatile motorhome to travel trailers, campervans, and the 5th wheel. Whether you’re looking to buy caravan in Sydney as a new home on wheels or the best motorhome that your money can buy to make your weekend trips even more fun, just like cars, buying an RV is all about personal preference. Within these two categories, there are different types and classes of RVs which range from the affordable and cheap to the luxurious model. The largest and most expensive type of RV, complete with spacious interiors, latest technology and facilities, ideal for those who plan to spend a whole lot of time on the road. There are three types of RV motorhomes to choose from, class A, B, and C. Class A motorhomes are the biggest and most luxurious of the three. Want a fine balance between convenience and affordability? A towable RV like a pop-up camper, travel trailer or the truck camper is an inexpensive option to repair and maintain too. Unless you already own a vehicle capable of towing an RV, you will have to either invest in one or hire a towing vehicle on rent. Either way, it is highly recommended for first time RV buyers because of the comfort level it offers at low price points in both new and used RVs. For those serious about RV’ing and want spacious interiors along with tons of features and facilities, the Fifth Wheel is best recommended. Buying a pre-owned RV can be tricky because you never know what might be wrong. 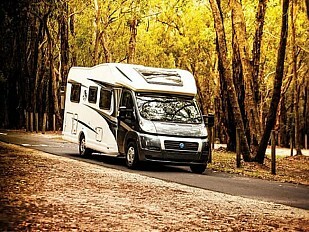 However, with so many models and makes of affordable and cheap motorhomes for sale in NSW available at RV dealers, you can save significant money for yourself. Ensure that you perform a thorough inspection of the ownership, maintenance records and of the RV. Therefore it is best to buy a used RV from a licensed caravan dealer in Sydney, which assures you of a thorough quality-check and at least 12-month warranty. While there are obvious benefits to both, when buying your first RV, it makes a lot of sense to buy a used RV. 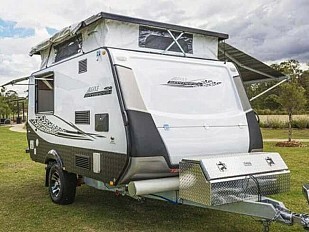 For instance, buying a camper trailer for sale in NSW, not only saves significant money over buying a pricier new model, it allows you to use the saved money to meet the customization and maintenance costs. However, if you have the budget or are a seasoned traveller, buying a new RV is a great choice. Whether you choose a luxurious motorhome with all its amenities or a camper trailer for its balance of affordability and convenience, you can avail flexible RV finance options. This help spread the cost of your touring vehicle in affordable monthly installments. 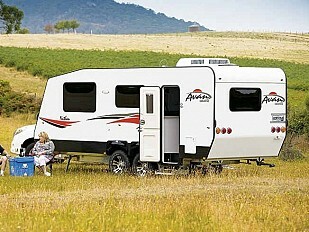 AvanNSW offers you attractive finance on your RV. Whether you buy new or used recreational vehicle, we offer attractive finance for all types of recreational vehicles at cheap rates better than the banks can offer. Buying the right RV is just one part of the story, you also need to be prepared for upfront costs and running expenses that come with an RV. At AvanNSW, we stock an extensive range of new RVs along with used or new campers for sale to suit your budget and lifestyle. If you would like any additional information or are curious for expert guidance to help you choose the right RV contact the nearest Avan caravan dealers in Sydney today at 02 4721 2222. Previous Previous post: Brand New Caravans for Sale: Which One Should You Buy?